It’s been a busy wedding photography season for me this year but I’ve also been keeping busy with commercial photography for the Century Hospitality Group. 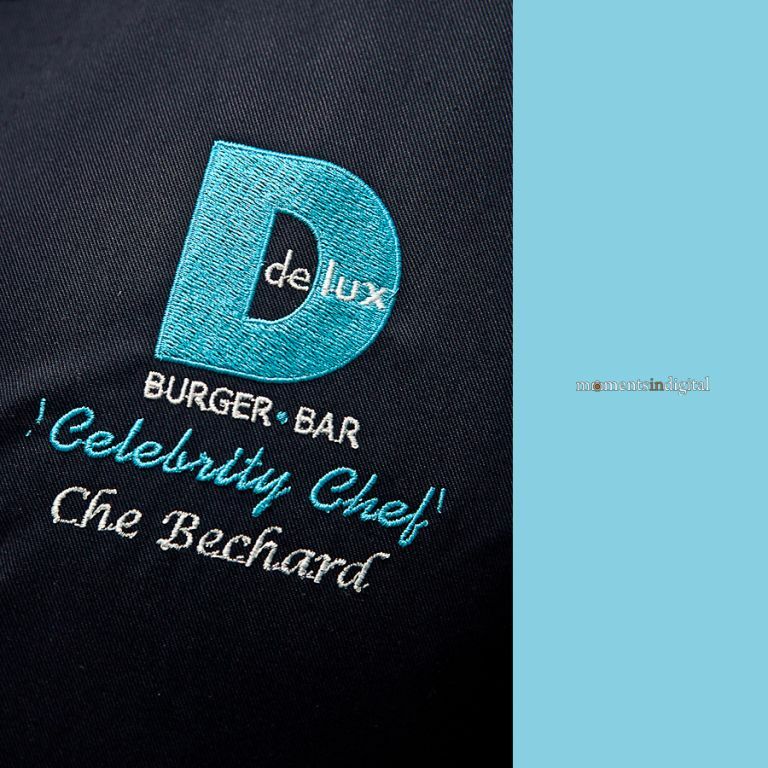 After a brief hiatus, a new batch of celebrity chefs have been lined up for Delux Burger’s Celebrity Chef campaign so I’m back providing the commercial photography for their point of purchase and website campaign. 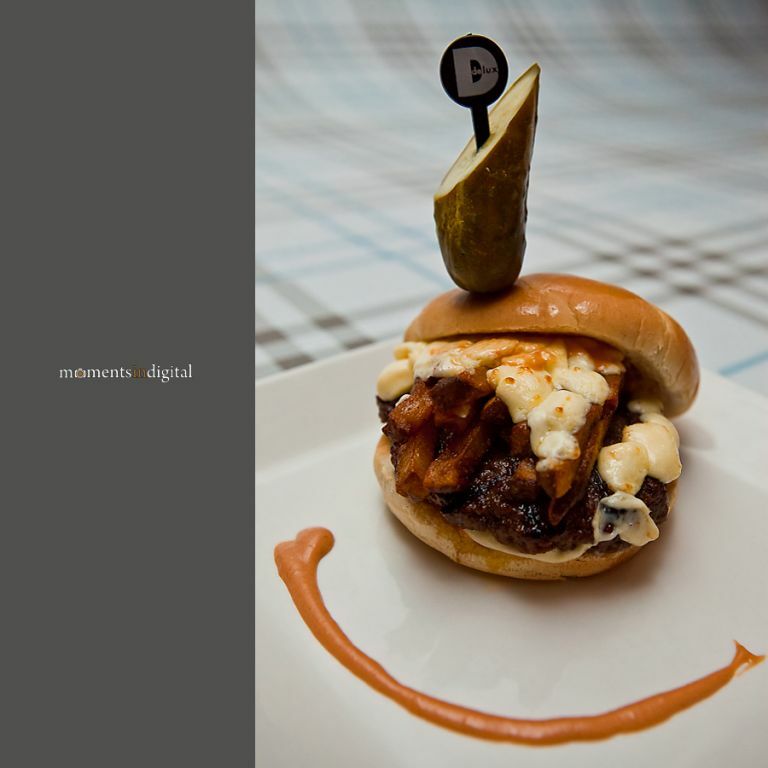 This campaign features a different celebrity’s burger on the menu each month. 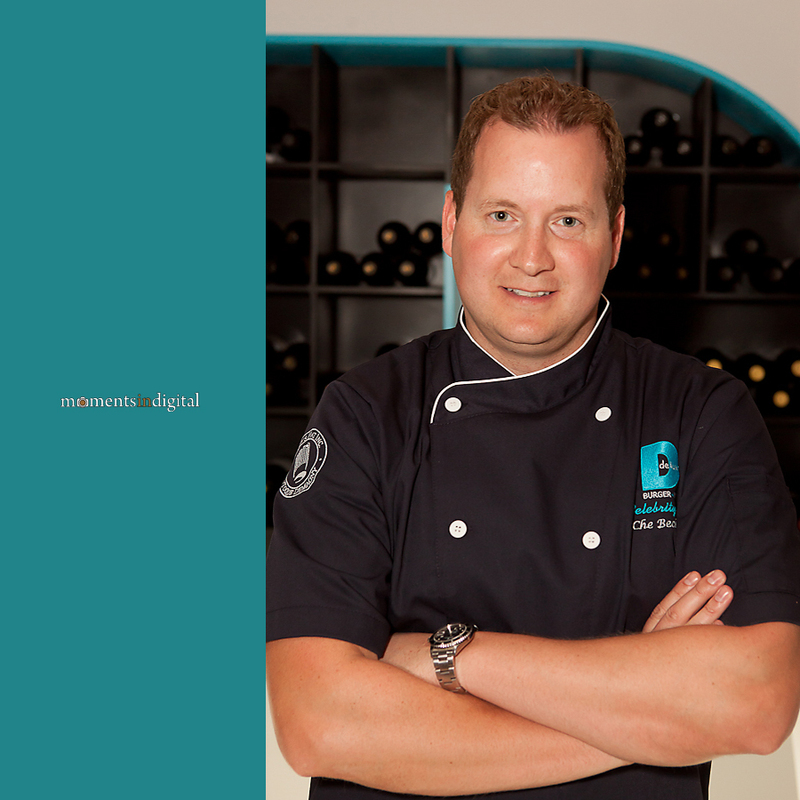 Past celebrities have included Breakfast Television host Ryan Jespersen, Edmonton Journal food columnist Liane Faulder, Pepper & Dylan formerly of the Bounce radio station, Mary Bailey of City Palate , Warren Smith from Wild Game Consultants, Adam Ungarian from Hesco, and Chris Kourouniotis from CK Design Associates. This time around, we were able to shoot in the brand new Delux Burger location in West Edmonton Mall. It’s a great looking location with over twice the capacity of the original Delux Burger Bar and it features a take-out window which is open until 3:00 am for the late night Bourbon Street crowd looking for a delicious burger. 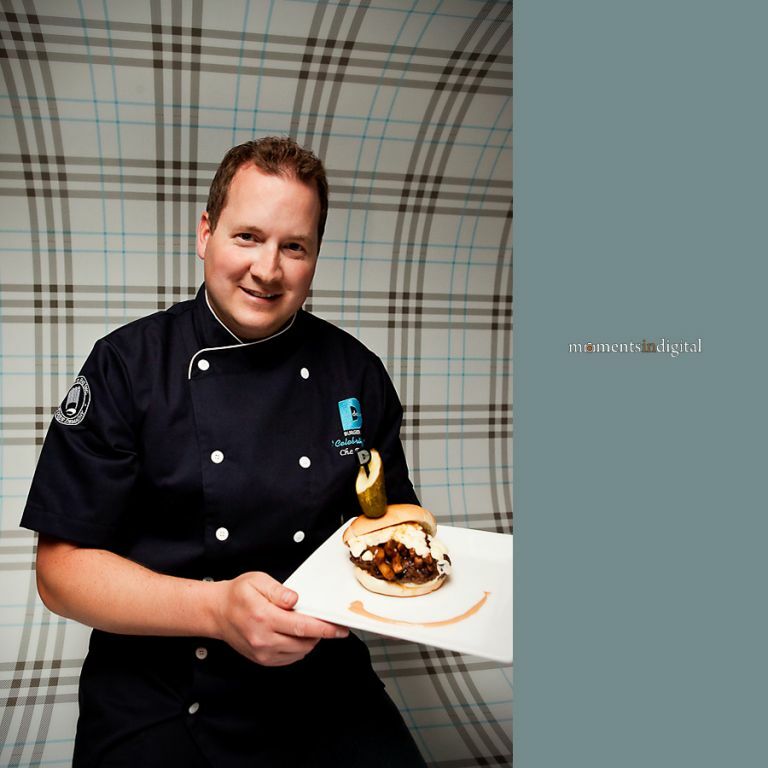 August’s Celebrity Chef is Che Bechard of Baseline Wine & Spirits and his featured burger for the month is the Poutine Burger. This mouthwatering delight is made with 7 oz of Alberta beef, secret sauce, fresh cut french fries, and real curd cheese on a kaiser bun. Truly a Canadian masterpiece. Sarah and I actually stopped by the new location yesterday to partake of this gastronomic delight. 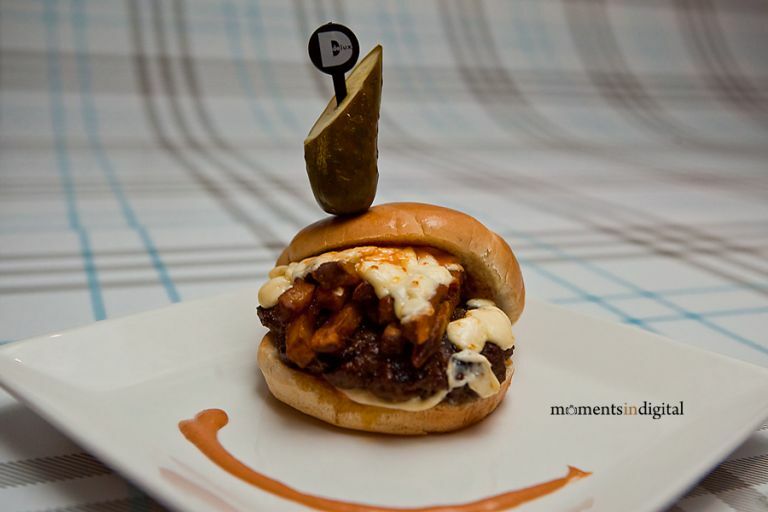 Be sure to drop in to either location of Delux Burger during the month of August to try out this delicious burger before it’s gone. They say a picture is worth a 1000 words and professional photography is one of the best ways to show off your product or service. Don’t leave your next project to chance or rely on bad photography from someone with a point and shoot camera. If you are looking for professional commercial photography for your next project, feel free to contact me with the details and I would be happy to provide you with a quote. yummy? I like burgers, I like poutine :). Great photography! You really made it look cool!